The 3rd National Membership Seminar took place in Kings College, Otahuhu, Auckland on 27th October 2018. More than 60 RC senior attendees gathered and shared the membership development from Global to Local, and reflected the declining statistics on aging profile, smaller size and slower expansion. There are a number of key factors involving the situation on structure, technology or service range but more importantly, time spending in productivity to ensure the agility of each Rotary Club with energy. For the past few years, RC has been endeavouring the various experimentation for membership on Associate member (Discounted even full funded membership fee), Corporate member (by company account), On-line member (internet interface to facilitate participation) or Satelitte member (sub group rooted in the same community), but still required new scenario for innovation more than source of member. One of the common challenges shared in the Seminar was to struggle how to facilitate the procedure for membership enrolment but at the same time, remain intactness of process-driven structure. 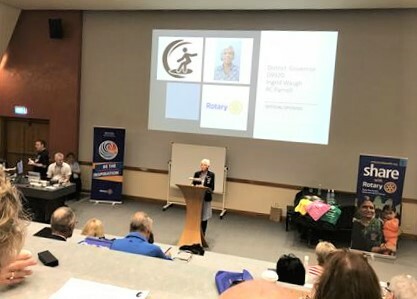 The outtake from the Seminar was to allow broader brain shake-up amongst Rotarians to come up with better/more appropriate approaches to applying for new membership but on the top of that, Rotary Club is always embracing new members from different background, profession and ethnics in the core of making a different world.